Cookeville Art Studio and Gallery is located in Cookeville, TN. 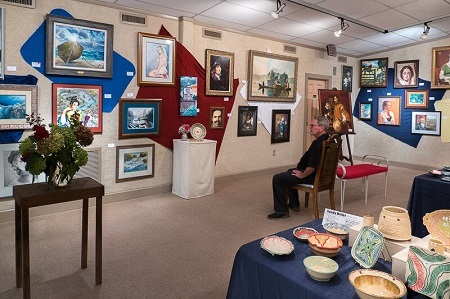 The gallery features monthly exhibits or shows. The studio serves many purposes such as classes, open studio, and critiques. All of these events are open to the public. Check out our event calendar and find something fun to do next week! “GREAT TEACHERS……. I have learned so much and made great friends. A fantastic group of people. Volunteers hang the new show each month and make food for the first Sunday of each month for the opening of the new show in the gallery. Workshops, classes, seminars, critiques and demonstrations are held by local or out-of-state instructors in the studio. These are open to the public. Another way that the studio is used is open painting sessions on Mondays which give members time to use the studio facilities. Open painting sessions are also available on other week days as listed on the calendar or call the office for scheduling. The last Monday of the month is reserved for critique day for helpful pointers of painting. Backdoor Gallery, located at Cookeville Art, has a new exhibit every month, featuring member, local and regional artists and photography clubs. Our Reba Bacon Memorial High School Art Competition, (which began in 1978), features our high schoolers from the regional area of the Upper Cumberland. High school students bring their art work in and the exhibit is judged usually by Tennessee Tech students and faculty. Monthly exhibits begin with a reception and provide publicity for the artists. These exhibits can encompass many forms of art: paintings, carvings, sculptures, pottery, photography, jewelry, etc. 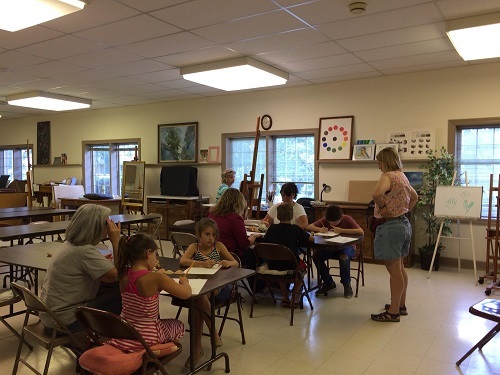 CAS offers a variety of low cost and free art lessons to the public, as well as to members. Ongoing classes include instruction in watercolor and acrylic paint. 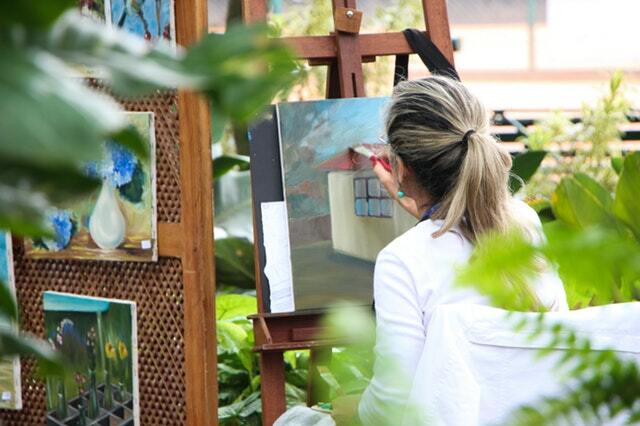 Oil painting classes are scheduled as demand requires. A series of free summer art lessons for children is offered, as well as year around children’s classes. Thursday night demonstrations have evolved into “artists teaching artists” lessons. Check out our upcoming classes by viewing the calendar of events! Being a member of the Cumberland Art Society has many benefits, both material and intangible. The Society offers many opportunities for its members to participate in programs and activities that will enhance the member’s personal development and community exposure in their chosen art field. 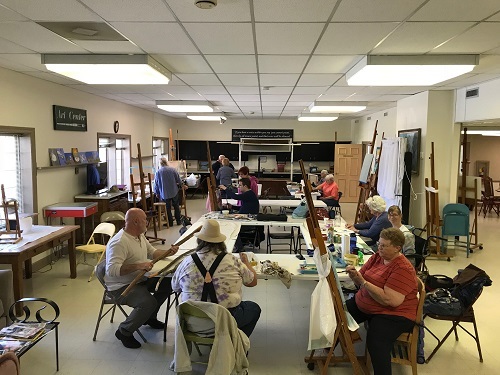 Cumberland Art Society is a 501(c)3 non-profit organization that is supported by its members and generous friends of the arts. It is funded in part by the Tennessee Arts Commission, and the Cookeville Arts Council. Monetary donations are tax-deductible. This mission is made possible by the Tennessee Arts Commission. “You can join for $35 a year. Everyone is welcome to come and paint on Mondays, you don’t have to be a member. They offer classes in different art forms. I took a class on oil painting. I am learning to draw and paint. Every one is very friendly and welcoming. There is an art gallery you can view anytime. They have art shows every month. This is one of my favorite places to go in Cookeville. I love it! ” Christine C.
“This is a great place to not only work on your art but also learn me technique Styles and mediums! [From] beginning to [end] you well feel welcome and at ho[m]e.” Megan M.
What a wonderful art center for the Cookeville community.” John B.